I remember the time when travels mean FRIENDS and only FRIENDS for me. Family travels are... hmm, not exactly boring or corny, but being with them every single day felt like a trip is just a normal day for us, just in a different setting. But now that I am older, and I see my friends more than my busy sisters and the parentals, going on a family trip is the new shiznit! Most especially when we're complete! Flying for my cousin Bugoy's wedding! The bride works at the Quest Hotel, a recommended place to stay while in Cebu because it is walking distance to Ayala! I almost forgot to blog about this because it was also when we were away and my favorite dog Ting passed away. First day was meant for food trip with Dad and Mom! The sisters arrived late Friday night, all the way from work. Almost the whole Gonzales Clan flew to Cebu the last week of May for my cousin's wedding. The cousin lives in Cebu for years already (because of work), and so he married a Cebuana. The trip was not required, so it surprised him that family from all over the world booked their own plane tickets to be present in his special occasion. My uncle from Maryland, 2 families from Norway, a tita from New Zealand, and a cousin from Singapore - it was the wedding of the year for us! Cool school bus? Shuttle for the family & friends going to the church! Pre-dinner pika pika includes Cebu's chicharon, dried mangoes, etc. What is a Cebu wedding without lechon? Filled a jeep on our way back to the hotel! The Gonzales family = high alcohol tolerance! Haha! 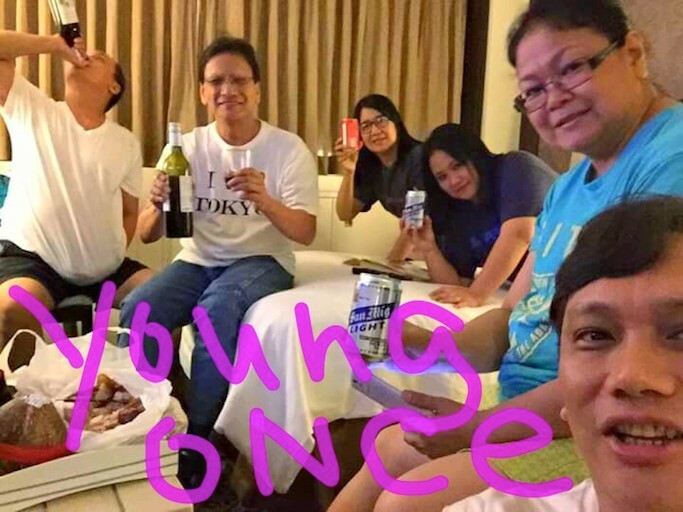 The "Young Once" Gonzales were also having fun, hehe! Located in Crossroads, Abaca Baking Company is a recommended coffee and pastries shop with an artsy, instagram-worthy, interiors. The breads my sister and I tried were indeed good, so Abaca is not just an overrated cafe. For me, it is actually a must-try! For me, a trip is never complete if I haven't done something I wouldn't dare do again - or fine, something new man lang, haha. At the Crown Regency Hotel, you're in for a lot of adventures that I'll most probably stay here on my next Cebu visit so I can try them all! They have ziplines, 4D shows, skywalks, and the edge coaster! Nagising gising kami ni Cea! Food is really good in Cebu, I can still taste the breaded tortang talong I had in Hukad at the Ayala Mall. Other recommended food places are Rico's Lechon (also walking distance from our hotel) and Casa Verde (for cheap but good steak and tower milk shake!). Speaking of travels, I realized that we are already half-way through 2015, and where had I been to? There's Japan, Boracay, and 2 Cebu trips, but I feel the need to go someplace I haven't been to! Maybe I'll dedicate this day to create my lists. Aside from travels, I want to do other things in my life that may inspire growth. Will it be work or study? With Bloggers United already tucked and done occupying my calendar, I am excited to define the year even more to my favor.